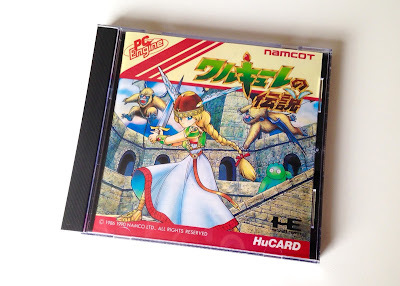 I've had kind of an up and down history with Namco's ancient Valkyrie no Densetsu (aka Legend of Valkyrie). Early on, it was the kind of gaming experience that caused me to wrinkle my nose in disgust. In recent months, though, my reaction to this antiquated adventure title, first released as a Japanese quarter-muncher back in 1989, has softened. As for what prompted this change of heart, well, I'd be lying if I said the 1990 PC Engine port's beautiful packaging--its eye-popping instruction manual, especially--didn't play a role. Really, though, Valkyrie no Densetsu’s cover art, HuCard label and how-to booklet just gave me that last little nudge needed to get me to buy the game. 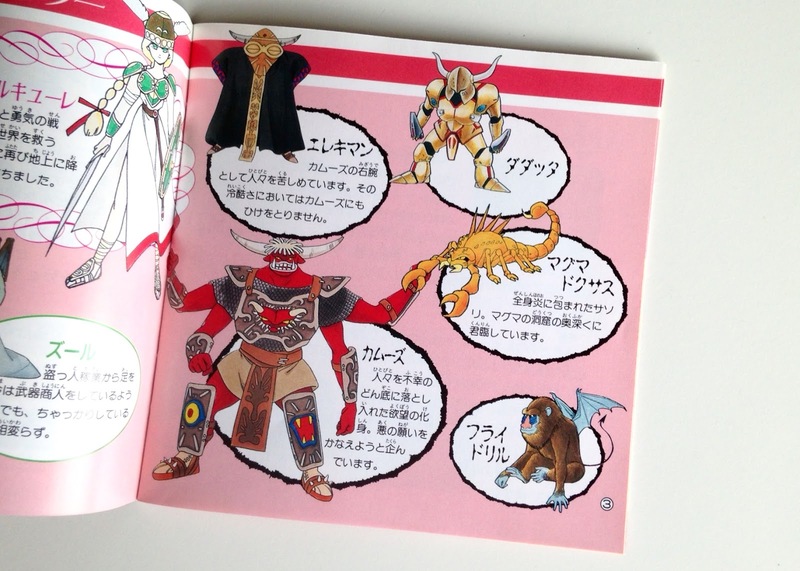 Does all of this drool-covered praise mean I’d suggest other folks add Valkyrie no Densetsu to their collections? I guess you could say that—if you own a PC Engine (or some other device capable of playing that system’s credit card-sized cartridges) and if you’re fine with playing games from an entirely different era. Even if you can shake your head yes to both of those requirements, though, I’d still recommend playing Valkyrie in some form or fashion (such as through emulation) before handing over your hard-earned cash for it. Thankfully, you shouldn’t find yourself in the poorhouse if you ignore my advice and purchase it anyway, as copies tend to be reasonably priced. 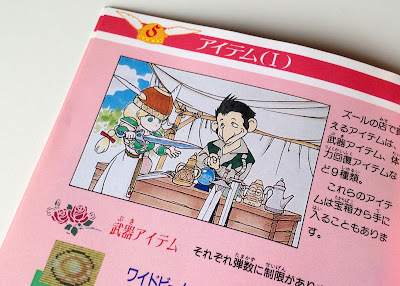 Plus, even if you end up hating the game—or even if you only play it a few times and then decide you’re done with it—you’ll still be able to enjoy its colorful instruction manual, a couple of pages of which can be ogled in the photos found above and below. There's a lot more where all of this came from, though, believe me. I guess this means I have to hit the scanner soon and produce another "Manual Stimulation" post, eh? 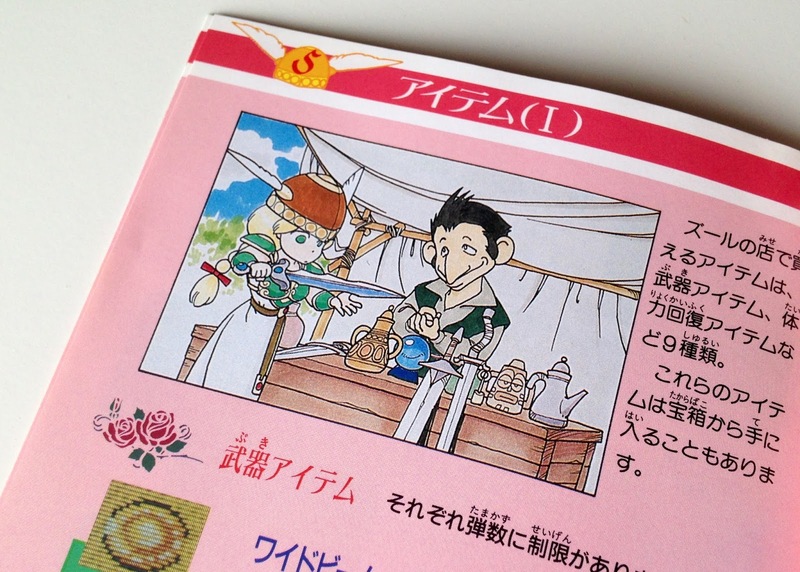 While I get to that, have any of you played any iteration of Valkyrie no Densetsu? 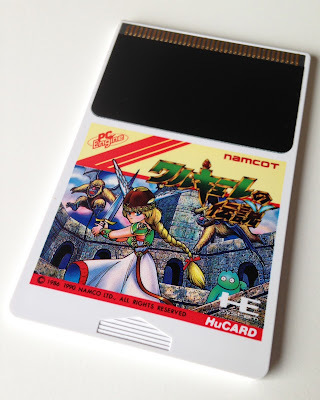 Although the PC Engine port is the focus of this write-up, the original arcade version was included on 1997's Namco Museum Volume 5 and it also made its way onto the (Japanese) Wii Virtual Console in 2009.